Body image refers to the way people look at their bodies and assume that others look at them in the same manner. Most people are quite wrong when it comes to body image and they easily get influenced by things like media or social pressure. 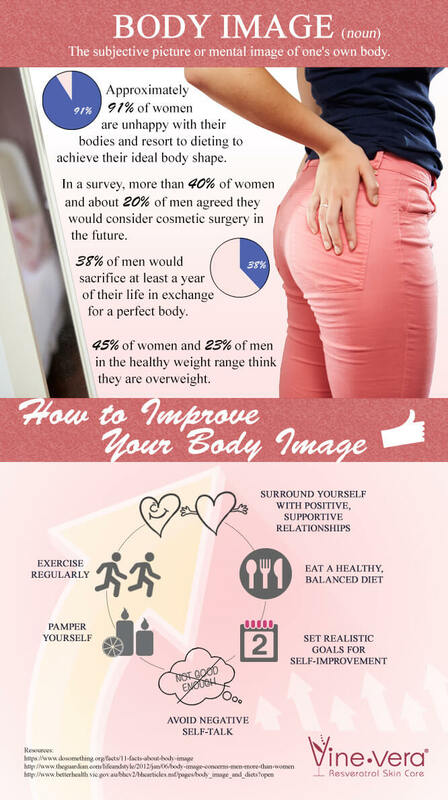 Vine Vera‘s infographic helps you understand how to improve your body image without tormenting your body or putting it through the torture of over-exertion or binge dieting.